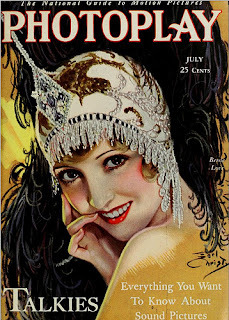 I have to admit I know very little about silent screen actress Bessie Love, so when I saw her birthday was coming up, I figured it would be a perfect time to do some research on her. 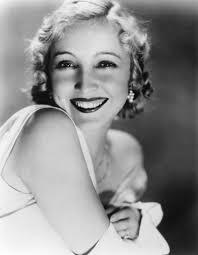 Bessie Love was born Juanita Horton in Midland, Texas on September 10, 1898. She attended school in Midland until she was in the eighth grade, when her chiropractor father moved his family to Arizona, New Mexico, and then to Hollywood. On actor Tom Mix's recommendation that she "get into pictures", Love's mother sent her to Biograph Studios, where she met pioneering film director D.W. Griffith. Griffith, who introduced Bessie Love to films, also gave the actress her screen name. He gave her a small role in his film Intolerance (1916). Love dropped out of Los Angeles High School to pursue her film career, although she completed her degree many years later. Her "first role of importance" was in The Flying Torpedo; she later appeared opposite William S. Hart in The Aryan and with Douglas Fairbanks in The Good Bad Man,Reggie Mixes In, and The Mystery of the Leaping Fish (all 1916). In her early career, she was often compared to Mary Pickford, even called "Our Mary" by D.W. Griffith. Love took an active role in the management of her career, upgrading her representation to Gerald C. Duffy, the former editor of Picture-Play Magazine, and publicizing herself by playing the ukulele and dancing for members of the military. Even glowing reviews of her films criticized the venues in which they were shown, citing this as a reason she was not a more awarded actress. Love was able to successfully transition to talkies, and in 1929 she was nominated for the Academy Award for Best Actress for The Broadway Melody. She appeared in several other early musicals, including The Hollywood Revue of 1929 (1929), Chasing Rainbows (1930), Good News (1930), and They Learned About Women (1930). However, by 1932, her American film career was in decline. 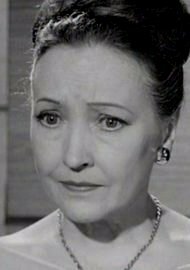 She moved to England in 1935 and did stage work and occasional films there. Love briefly returned to the United States in 1936 to seek divorce. During World War II in Britain, when Love found acting work hard to come by, she was the "continuity girl" on the film drama San Demetrio London (1943), an account of a ship badly damaged in the Atlantic but whose crew managed to bring her to port. After the war, she resumed work on the stage and played small roles in films—often as an American tourist. Stage work included such productions as Love in Idleness (1944) and Born Yesterday (1947). She wrote and performed in The Homecoming, a semiautobiographical play, which had its opening in Perth, Scotland in 1958. Film work included The Barefoot Contessa (1954) with Humphrey Bogart, Ealing Studios' Nowhere to Go (1958), and The Greengage Summer (1961) starring Kenneth More. She also played small roles in the James Bond thriller On Her Majesty's Secret Service (1969) and in Sunday Bloody Sunday (1971). In addition to playing the mother of Vanessa Redgrave's titular character in Isadora (1968), Love also served as dialect coach to the actress. Enjoyed learning more about Bessie Love. I had only seen her in "Broadway Melody", or so I thought. Thanks. PS: I left a message on your bio on the CMBA board and am hoping it will show up soon.